Another excellent renovation project (5 room HDB) and happy homeowners by Interior Designer Ben Ng. I want to thank Mr. and Mrs. C for their contribution to this successful featured renovation project. I am already looking forward to another project from BEhome Design Concept. I have added the previously posted (in part 4) 3D perspectives to compare with the finished products. For first time visitors, the purpose for including the perspectives is to show how important perspectives are. The perspectives will be able to give homeowners a very good idea of how the carpentry works and colour combination will look like before its even fabricated. Do mention Vincent Interior Blog for special pricing! No commission is given to Vincent Interior Blog, so you can be assured that you are getting the best pricing for your renovation! 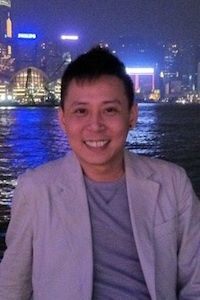 Ben Ng is a Vincent Interior Blog preferred Interior Designer. PS: Due to overwhelming responds, Please allow Ben more time to reply you, whether by email, call or SMS. To facilitate a faster respond, please email your floor plan and proposed renovation date. If you did not get a reply within 3 working days, please email me at vincentinteriorblog@gmail.com. I will try to do my best to do something for you! Me and my group of preferred IDs will try to meet every readers’ requests. Thank you again for all the support! Your website covers a wide range of topics for house renovation and it’s very informative. It definitely helps would-be homeowners in their process of looking for a ID. Ben of BEHome Design did my Yishun 5 room flat renovation a month ago. He is a reliable, dedicated and responsible person, full of energy. With his years of experience, knowledge and aesthetic vision, he is able to transform our ideas into functional solution to suit our style and theme. His excellent time and project management abilities enable our house renovation to progress smoothly and completed according to schedule; considering that, he was handling a few projects at that time. During the course of renovation, he also provides regular updates on the renovation development. Ben has an eye for detail. Instead of having the usual drop ceiling height at the dining area, he had it constructed such that it blended in seamlessly with the foyer ceiling without compromising the installation of the downlight. In addition, special thanks to Ben for helping to box up the water pipe besides the main door at no extra cost. I truly appreciate his effort in helping to coordinate with my other suppliers, like flooring, lighting, kitchen appliances, etc, to fit into his schedule. How much does it cost for the reno? It looks ex to me.. and am wondering if I only got a budget of $25000, is it possible for this? This renovation is above $45000. Hi Abraham, my recommendation is to renovate within your means. $25K is 100% not enough, even with minimum works. You still have electronics and furnitures to consider.